Topics. Vocabulary grouped by themes. Radicals. To learn the 214 graphical components of the Chinese characters. HSK. To learn the 5000 words required by HSK tests. Pinyin. To learn words using Latin alphabet. Character. To learn words in Chinese characters. You have 60 seconds  to reach the maximum number of matches between the origin  and one of the elements in the matrix . To pass game the number of matches  must be above 15. To get a bronze medal your score must be 15 hits, 18 for silver medal, and 20 for gold medal. 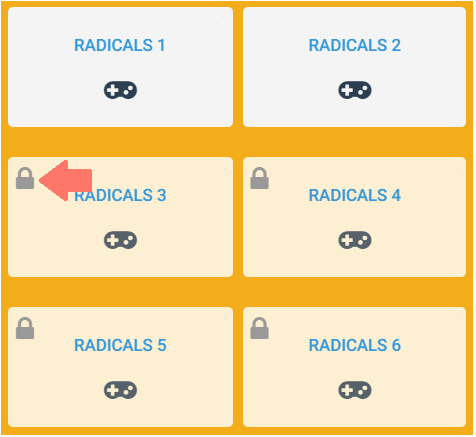 Radicals and HSK games are progressive, that means you need to pass a game to unlock the next one. 5. How to change the source language for games. To change it you must be logged in. 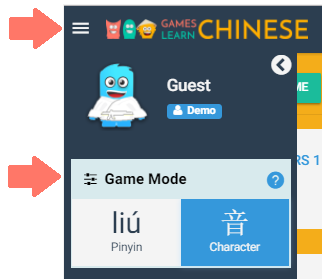 Then, under "My Account" you can choose the origin (mother) language to learn Chinese. You can select English, Spanish, German and French as your mother language. 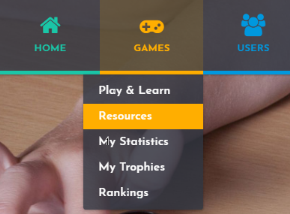 You can get the words used for each game in PDF format under "Resources" section. The color of your belt depends on your completed HSK games. Yellow. 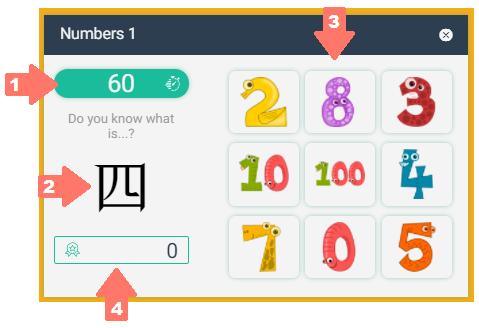 You must complete all HSK1 games in pinyin or character mode. Orange. You must be yellow belt and complete all HSK2 games in pinyin or character mode. Green. 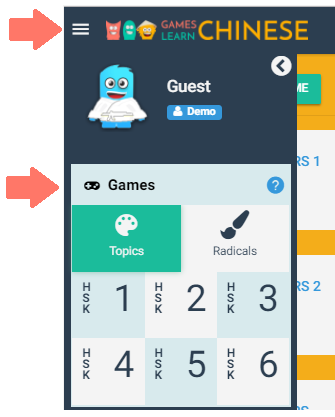 You must be orange belt and complete all HSK3 games in pinyin or character mode. Blue. You must be green belt and complete all HSK4 games in pinyin or character mode. Brown. You must be blue belt and complete all HSK5 games in pinyin or character mode. Black. You must be brown belt and complete all HSK6 games in pinyin or character mode.